One deck of numbered cards, 1-75. Can be used in place of bingo balls. 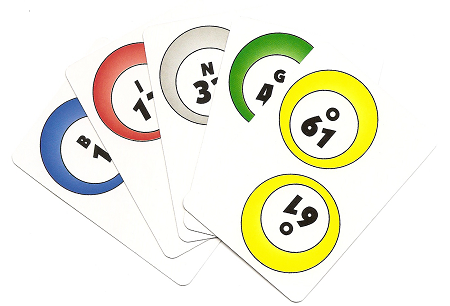 One deck of numbered BINGO calling cards, 1-75.